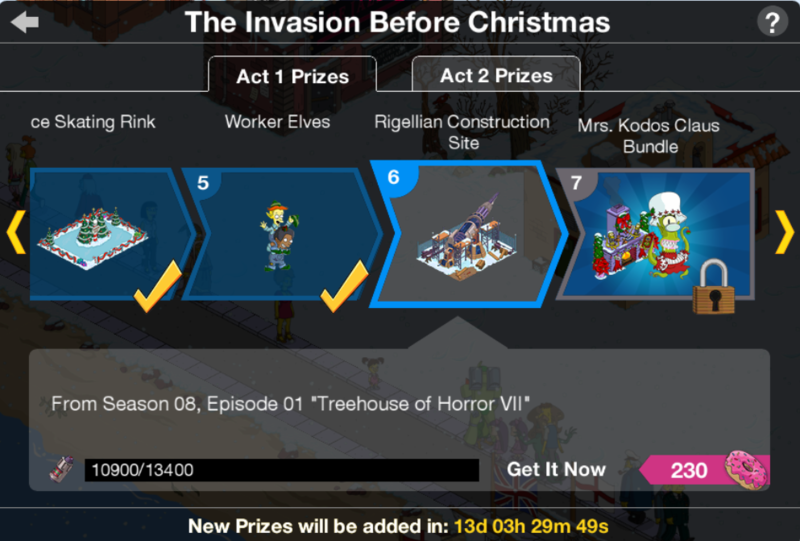 It’s update Wednesday! Woohoo! 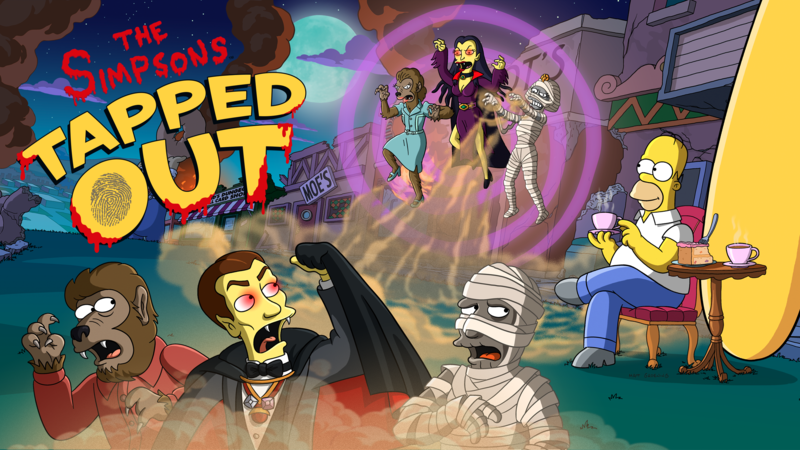 Who’s excited for all new content in TSTO? 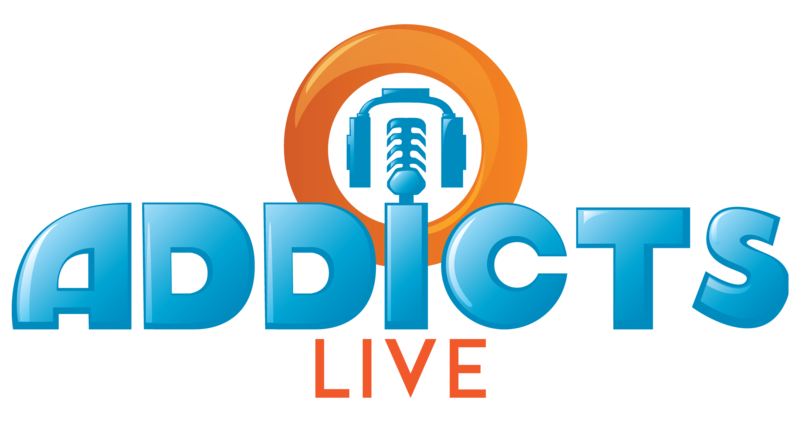 After all that downtime (seriously was a SLOW July) everyone should be excited for something…anything to hit our games! Let’s all breath a sigh of relief. And if that isn’t possible yet, because you are still gnashing your teeth over the glitches in this update, at least BREATH! Right? 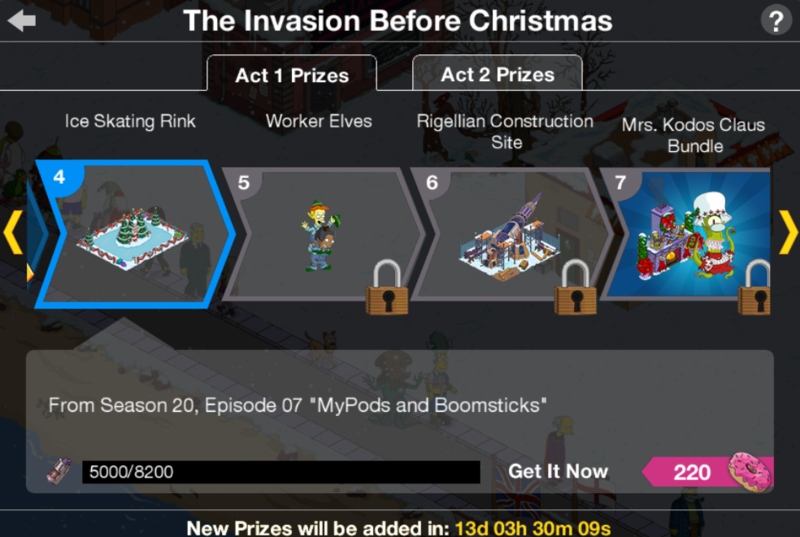 After all…we are going to get a handful of prizes, as well as the chance to build a huge, rambling race track (that only makes MOST games lag…not all). But, I digress. But now, you should have received the Act I Prize #1- The Helicopter! 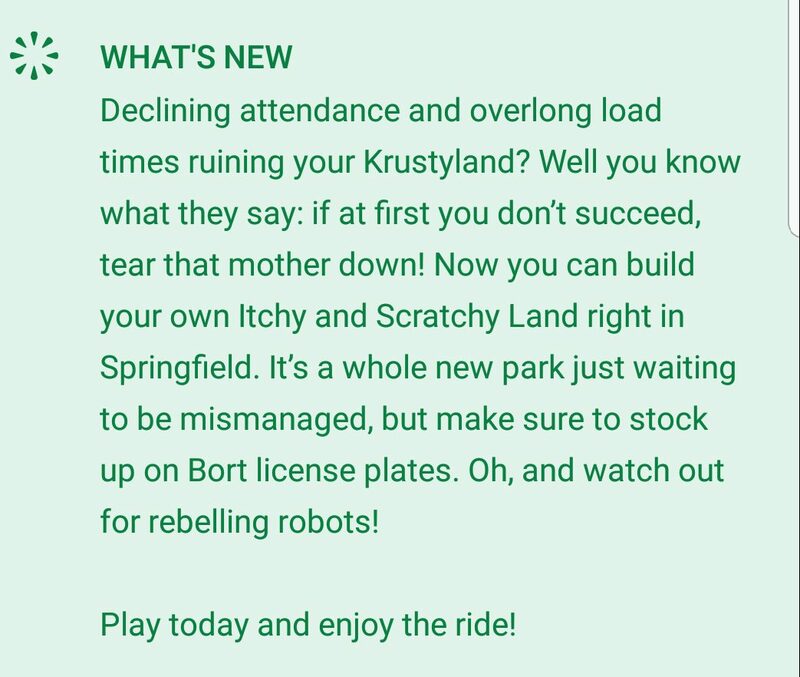 Well, the day has finally come…it’s time to get rid of Krustyland forever! 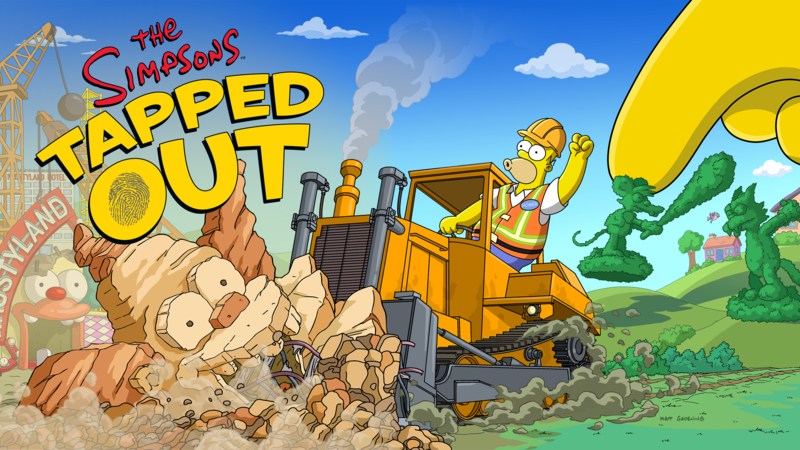 The newest update to hit TSTO finally axes Krustyland! 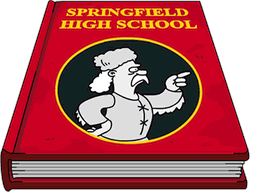 This update should autostart for you, with a 6s task for 3 Springfielders. 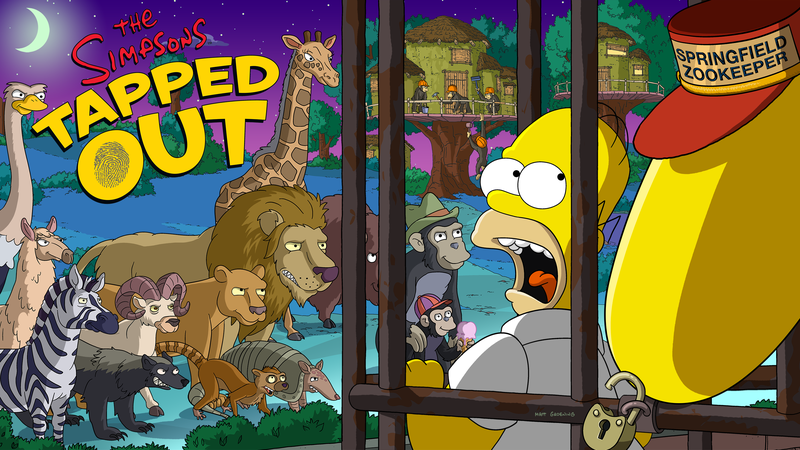 After that, you’ll be prompted to nuke Krustyland. 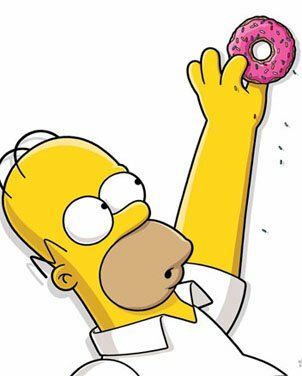 You cannot progress until you nuke Krustyland. It’s not something you have to do immediately, but you do have to do it (or it’ll be done for you) by Monday, June 4th. So let’s break down the newest update, shall we? 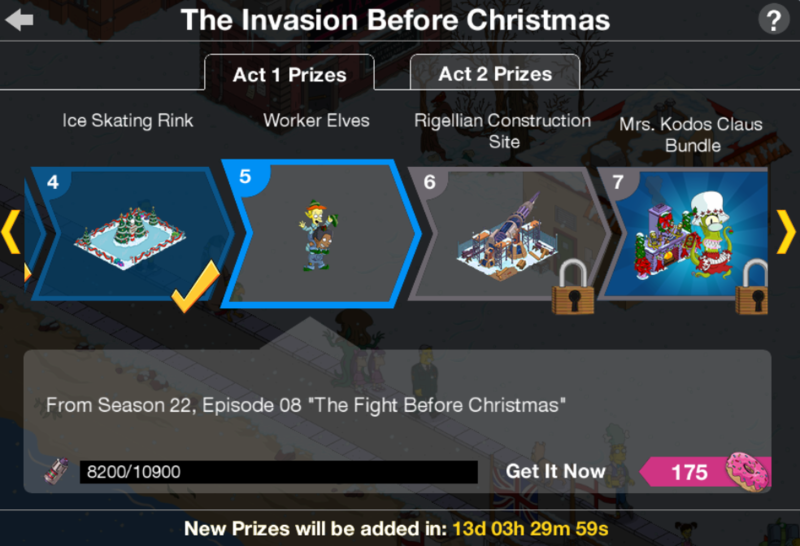 The fourth Act 1 Prize awarded at 8,200 is the Ice Skating Rink, because who doesn’t love a little outdoor skating at Christmas time? 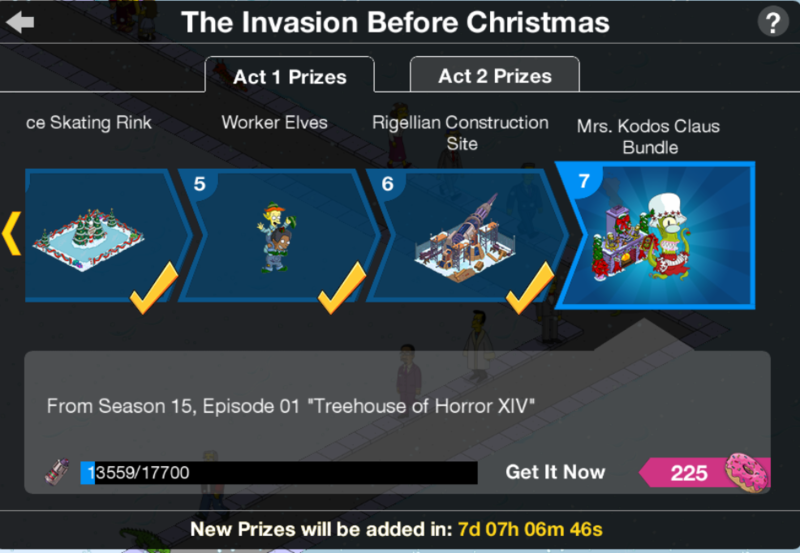 The first Act 1 Prize awarded at 400 is Santa Kang (& a free land token), because you can’t have Aliens invading Christmas without them looking the part!